They say good things come in threes. Send these and you'll see just how good it can be. 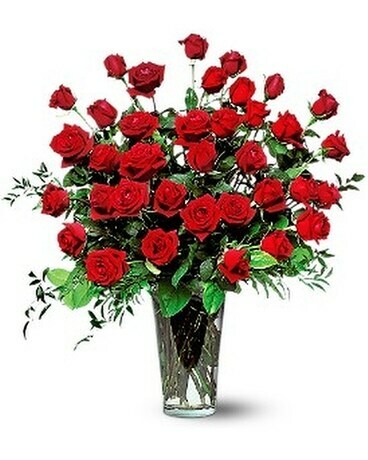 Three dozen long-stemmed red roses in a striking glass vase.